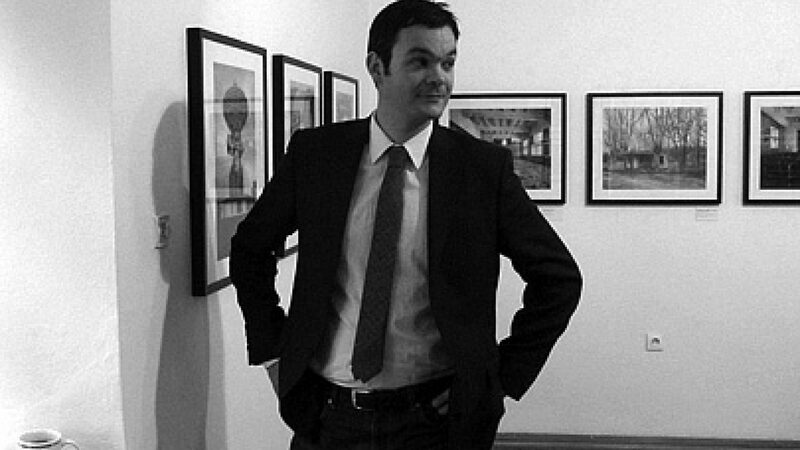 The French photographer Eric Lusito (1976) worked for several years on the series After the wall. 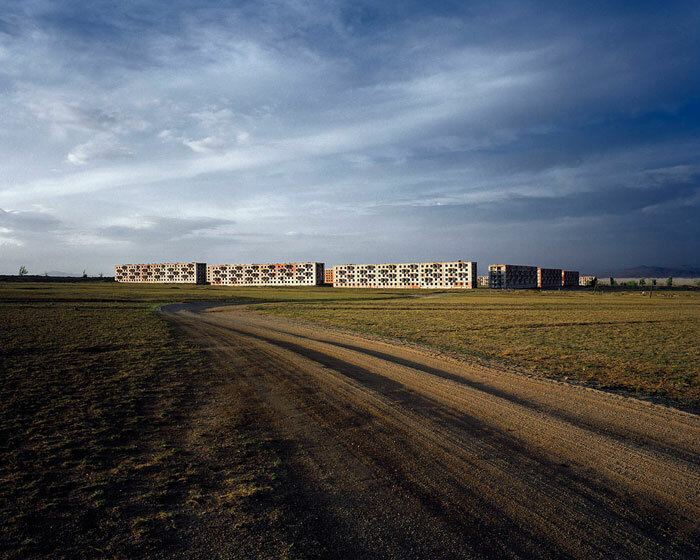 Traces of the Soviet Empire, travelling to the former countries of the Soviet Union, including Latvia, and documenting the abandoned buildings of the Soviet military bases, their surroundings and interiors. 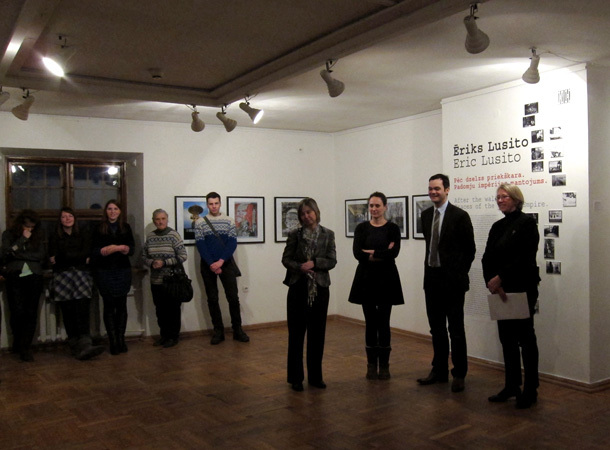 Currently his project has reached Latvia and till 26 February 2012 is exhibited at the Latvian Museum of Photography. It’s been already a few years since the project Traces of the Soviet Empire has been finished. What is your opinion about the project now? It is still very close to me. I am still proud of what I’ve done. I hope this project will continue to be exhibited and shared with public in different countries. This project was very important to me. It’s something like a book for a writer. Something that will still continue to live. Have you counted how many shows you have had with it? I haven’t counted – maybe ten. At the same time there is a show taking place in Switzerland. In March I will have a group exhibition in Japan. Maira [Dudareva] wants to show it in Ventspils, too. I also have some discussions about showing it in France. Have you had any bad accidents while you travelled around the ex-USSR? I was robbed in Vilnius in 2005. Usually it’s better to avoid big cities, but my car stayed for a weekend in Vilnius and a robber stole my equipment. At that time it was a small Nikon camera. Because my camera was stolen, it was a decisive moment to understand that photography for me was very important. It is then that I decided to become a photographer. After Vilnius I took a decision that I want to achieve professional quality in my work and that led me to work with a large format camera. When you work in abandoned places and meet someone, it is good to understand that they are also surprised just like you. When they see a large format camera, they see that I am not a spy or journalist, but doing something more serious. Sometimes you can talk and then they can also help you. Can you tell about one photograph as much as possible, for instance, this one that was made in Mongolia? There was just one road leading to this place. It was a base for motor-rifle division. There were thousands of the Soviet soldiers with their families living there. I think it will stay there forever like this, as it costs too much to transform it or destroy. For me it was interesting to imagine how the life was there before. They made it like a fortress, there was no fence, behind barracks there’s only steppe. It’s like being free but you can’t go anywhere, because you are in the middle of nowhere. I like to think about such things, for me it’s like archaeology when I don’t know what I will find. I photographed with Toyo camera on 4×5 inches (10x12cm) film. They made very light and compact cameras. With all the lenses, films, and a tripod my bag weighed only 15 kg. That’s very good to travel! I usually take about two to five pictures from each place, sometimes I have only one. At this place I took two photos like these and then a couple more closer. It takes quite a long time to make a picture, while setting up everything. I only shoot when I have a strong reaction to the place, a kind of visual shock. I have a small digital camera that helps to see the light. What is the original way of showing your work? I scan the negatives and then work on them on Photoshop, making better light and colours and then printing lambda prints. But in Riga these are inkjet prints. How did you manage to publish a book? In 2005, when I decided to become photographer, I was living in Nantes. I showed my work to many photographers and they said I should go to Arles Photo Festival. I was there in 2006 and now I go there every year. 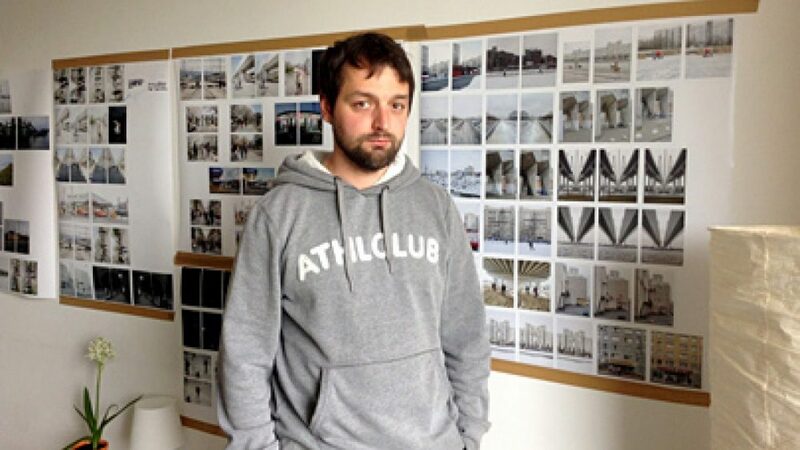 In 2007 I met publisher Dewi Lewis and he said that my project looked serious and that I should continue to work on it. In 2008 I went back to Arles and showed him my new pictures and he decided straight away that he wanted to publish a book. It was very quick – when we started to make it, the project was not yet finished. I was very lucky and he was the only publisher I spoke to. How many copies were printed? Two thousand. The book is already almost sold out. How do you survive as a photographer? I am focusing on my projects but the problem is that you can’t predict your income. At the moment I am freelancing, helping people with computers, designing graphics and websites. Now I am at the stage when I see, if I should take up a full-time job and photography becomes complimentary, or I can be lucky and concentrate on my photo projects. I guess this question bothers most photographers. Have you been selling your work? A little bit. I made my first website in 2005 for this project and soon after I received a letter from a man from the University of Paris Sorbonne. This man was working for a museum and they were looking for photographs about the Soviet times. My pictures seemed very interesting to them and this museum bought my prints. With this money I could continue the project. I was very lucky! Now three museums have bought my work, as well as some private collectors. On your website this is the only project we can see. What did you do before it? Nothing. It is my first project. I am a self-taught photographer and I have learned photography through this project. On your website we can also see one image from your new project. What is the new project about? During my first project I became interested in the Soviet army and now I am attracted to the military. So my new project has resulted from my previous one, but it’s different. I am just at the beginning of it, that’s why there’s just one picture. The project is about the military today. I started it in France, but after France I would like to shoot also in England, America, Russia or China. A very big project. I know I will need time and, of course, money to realize it. Now I am looking for the means of support and ways of managing this project. What exactly did you shoot in this project? The core of the story is about the human condition and I see the military like a concentrate of the human society. Besides, this project looks for the answers to such questions as where we come from, who we are, where we go, etc. There are always answers of the good and the evil. My new project will investigate these human conditions through the military. I have on my mind what kind of pictures I want to make, but the project can change during the process. The photo, which can be seen on my website, was made last year. It is a school for officers in Saint-Cyr (Écoles de Saint-Cyr Coëtquidan). There is this ceremony, this moment with a sword when a cadet officially becomes part of the family of officers. The ceremony looks like from the Middle Ages. I like the fact that nothing has changed in the army. My previous project speaks about a vanishing empire, and we know that even the strongest empires have disappeared, such as Egypt, but the army is a structure that always stays the same and never changes. Have you been in the military yourself? Yes, in France. First they sent me to train as a mountain troop, and after that I was training in a school for helicopter pilots. Was it a good time for you? For me it was not very good times. I was one of the last French guys doing the military, because now it is not compulsory. It was a very interesting experience to be part of such an institution. It changed me as a person. Now I can use this experience working on my own project. 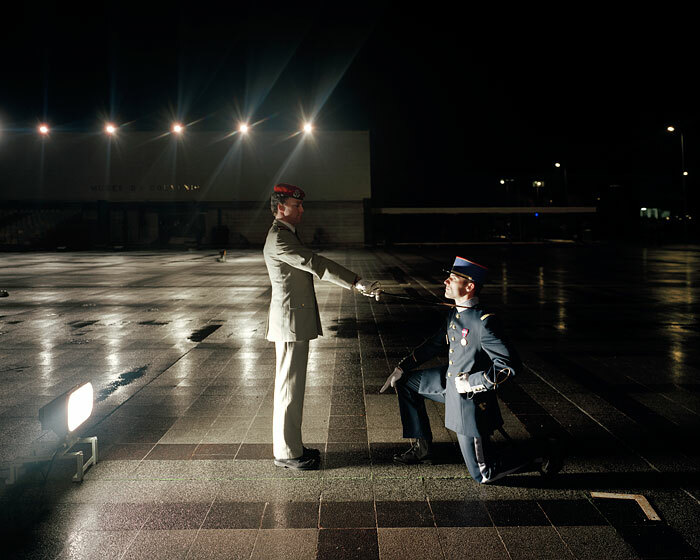 Riga based photographer took part in the project Japan Through the Eyes of Europeans/ Japan Today. 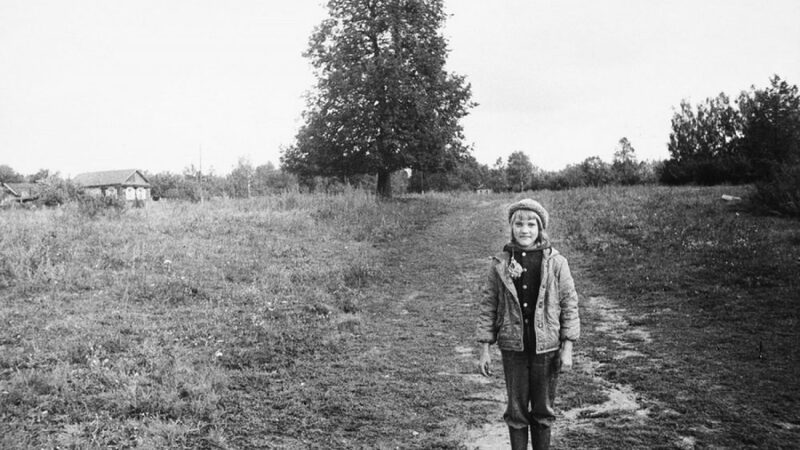 During the Soviet times, instead of cultivating “salon art”, the photographer Ugis Niedre took photographs of everyday life in the countryside.